Posted on September 21, 2016 at 10:47 am. With all cooling and heating systems, maintenance is the key to operating efficiently. If you operate your heat pump correctly, it will also save you money. If you discover that setting back your thermostat causes the backup heating to come on, be prepared for more expense. Heat pump performance can be degraded with continual indoor fan operation. The exclusion to this, is if your system is operated with a variable speed motor which is highly efficient. Therefore, you should run your system on the fan setting which reads auto. Another option is to consider installing a thermostat which is programmable and has multistage functions specifically for a heat pump. Maintenance is important in regards to energy consumption. A neglected heat pump can cost you between 10 to 20 percent more energy, therefore running up your bill. Be sure to change filters on time, clear away debris, clean outdoor coils and read the manufactures suggestions for the best way to promote longevity for your heat pump. 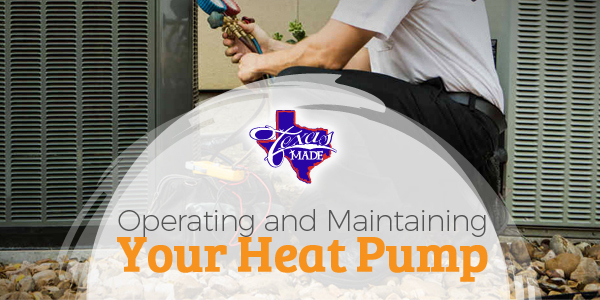 It is recommended that a technician looks over your heat pump roughly every two years to perform routine maintenance and hopefully catch small problems before they turn into large expensive ones. The technician will be able to offer you advice on how to get the most out of your heat pump and keep it running smoothly for as long as possible.